In a large frying pan, fry the chicken in half the oil in batches until brown then remove from the pan. 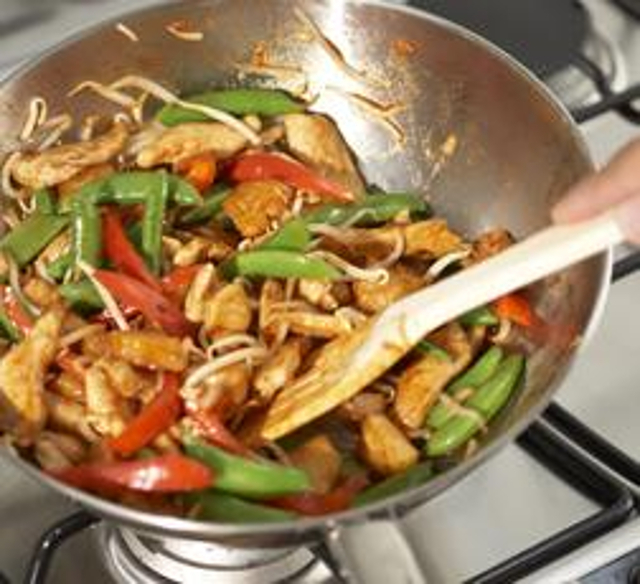 Fry the onion and pepper in the remaining oil then return the chicken to the pan with the pineapple juice along with the sugar, soy sauce, vinegar, tomato puree and mustard. Simmer for 10 minutes, or until the chicken is tender and piping hot. Add the beansprouts, mange tout and pineapple pieces. Blend the cornflour with a little water, add to the mixture. Stir over the heat until the sauce thickens and the pineapple is warm. Serve with boiled rice. You’re probably roasting a turkey this Christmas, so we’ve got the perfect recipe for homemade gravy to go along with it!